From a house on the edge of her family’s dusty farmland airstrip near Chicago, the child Cassie O’Malley would sneak into the night to look at the planes sitting shimmering in the moonlight. 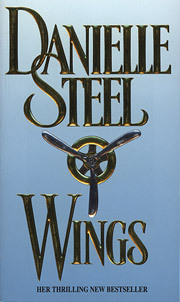 Her World War I veteran father, Pat, wanted his son to be a pilot, not his reckless, red-haired daughter. But it was Cassie who had the gift. Ever since she could remember, Cassie felt the pull of getting in a cockpit and taking to the skies. Observing all the while was her father’s junior partner, Nick “Stick ” Galvin, a fellow war ace and airborne daredevil. Nick would become her confidant and best friend, willing to break all the rules to teach her to fly, knowing that the greatest gift he could give her was the freedom of flying. When California entrepreneur Desmon Williams sees Cassie in a local airshow, he invites her to California where she breaks new ground as a test pilot. Soon Cassie’s record-breaking flights make her a media darling. Drawn by Desmond’s plans for her to break Amelia Earhardt’s records, but determined to avoid her mistakes, Cassie trains for the remarkable journey around the world. From public appearances to press conferences, easily used by both her husband and the press, Cassie realizes that there is more to life than making headlines. Risking her life, pushing herself to her limits, she decides to chart her own course and pursue her own destiny, whatever it costs her. 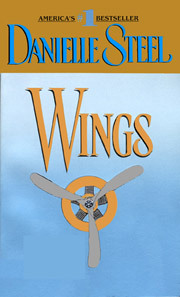 Wings is set in a time of constant change, when the world was on the brink of war and the skies were filled with adventurers, a time when courage and daring forever changed modern-day aviation.